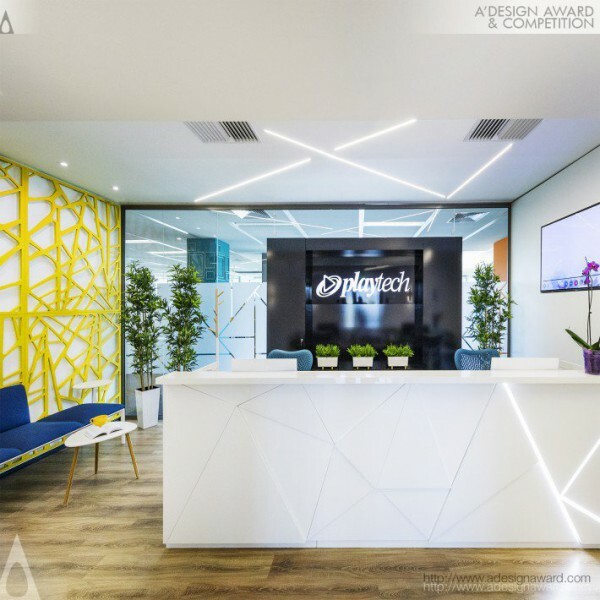 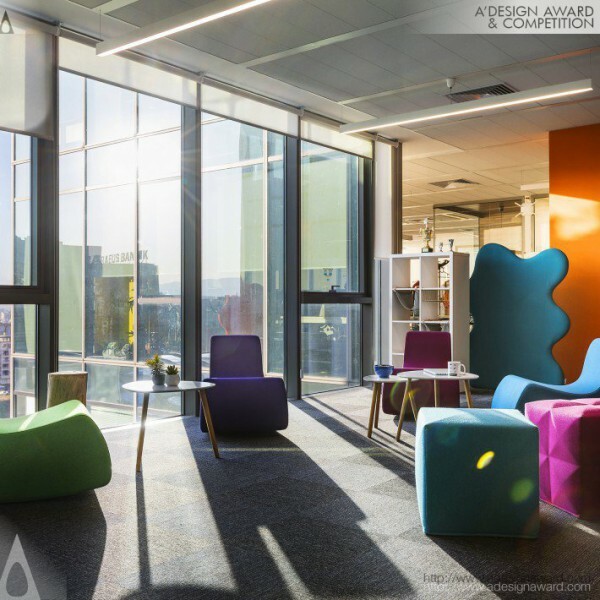 Helen Koss, the maker of the award winning project Functional office space by Helen Koss says, New Playtech office is based on Data Driven Design, focusing on team performance and collaboration so that each group of collaborating teams will be allocated in the same open space. 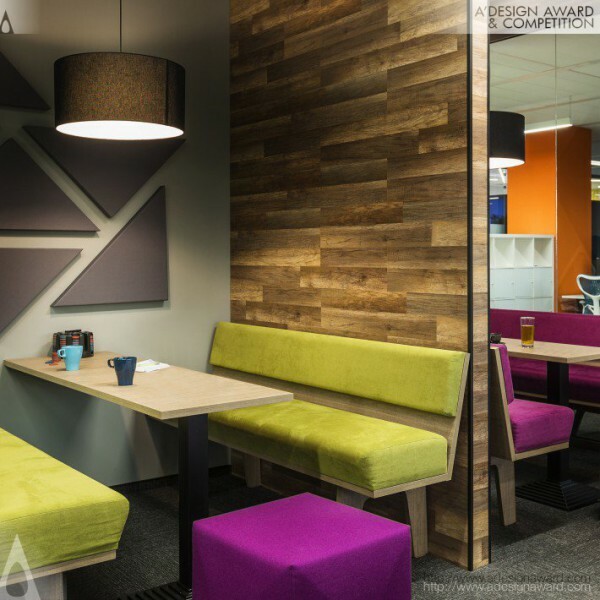 Activity Based Working features such as meeting rooms acoustic meeting booths and lounge areas were used in the layout. 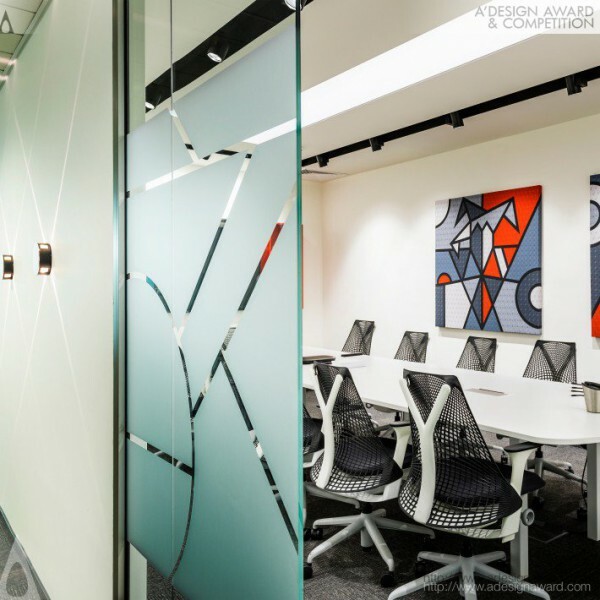 These areas forming unnoticeable partition between the open space areas and serve the purpose of holding meetings, social gatherings and provide an alternative working setting. 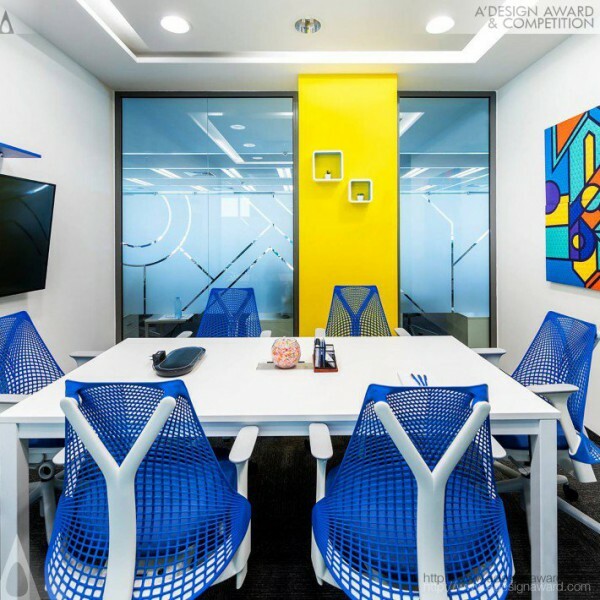 Lounge and play area are equipped with billiard table, fuss ball and other entertaining features available to employees .